To help identify emerging leaders, we reached out to the industry and requested input from our readers through articles on our website, www.TheMiddleMarket.com, and in our Daily Briefing e-newsletter. The nomination process was informal, and all decisions were made by our editorial team, headed by Editor-in-Chief Mary Kathleen Flynn. There was no fee and no limit on the number of individuals recommended. The deadline for nominations was June 8. As we spoke with dealmakers about the 11 Rising Stars, common themes emerged. All have demonstrated the ability to handle many aspects of the PE business, including: fostering trusted relationships and developing deep networks throughout the sectors they invest in; forging and/or expanding their firm’s investments in key sectors; identifying add-on acquisitions and other opportunities for portfolio companies; representing their firms well in the marketplace; and taking on leadership roles within their firms, including developing new systems and tools and training other dealmakers. 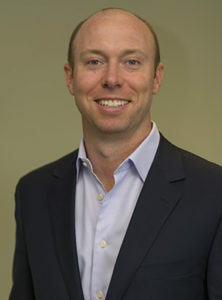 In early 2017, Nicholas Stone was promoted to managing director. He leads the firm’s deal origination efforts and oversees the Chicago office. “There’s a lot of capital out there,” says managing partner Mike Conaton. “We distinguish ourselves by building a rapport with management teams. Nick is incredibly talented at doing that. There’s a trust factor he establishes with people early on, and it helps us win deals. He is able to really resonate with folks, which is critical in our business,” says Conaton. Stone’s background of growing up on a farm in Nebraska may be one reason Stone appreciates hard work and loyalty, Conaton suggests. When Stone is not on the hunt for new deals, he is managing Cyprium’s six operating partners who help the firm evaluate various investment opportunities. Although working with very experienced professionals, Stone is able to keep them engaged and involved in every process. Stone was a member of the investment team previously known as Key Principal Partners, which became Cyprium in 2011. Before joining KPP in 2007, he worked at Northlight Capital. He holds an MBA from the University of Chicago Booth School of Business.